In 2008, in order to celebrate the 100 years this monumental event, Copag released a limited edition commemorative Four Seasons plastic playing card sets: Copag Spring Edition, Copag Summer Edition, Copag Fall Edition, Copag Winter Edition. Copag Summer Edition Double Deck comes complete in a tin box. It is poker size with Jumbo index in four corners. Copag Summer Edition sets are 100% plastic which means that they are far more durable and will last much longer than regular plastic coated playing cards. COPAG Summer Edition plastic playing cards are made from a exclusively engineered PVC plastic. 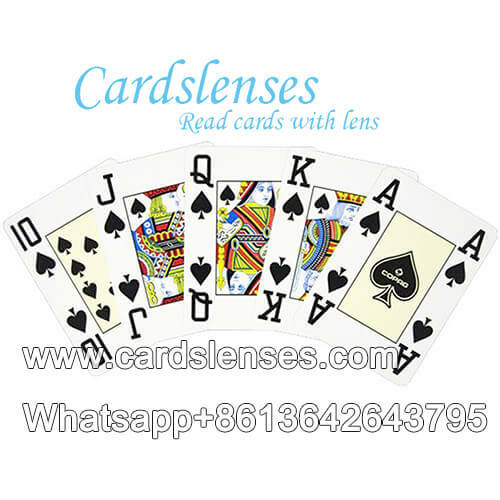 These cards can handle the tear of normal games, outlasting paper cards up to 500 times. Completely washable, you no need to worry about soiled cards. A quick wipe with a damp washcloth, then dry and they are ready to go.